Joint allocation with Route 15 withdrawn. Reduced to peaks only - buses ex Route 15 and withdrawn between Upton Park and East Ham. Mon-Fri withdrawn between Mansion House and Oxford Circus except for early journeys to Aldwych but extended from Upton Park to East Ham except evenings. 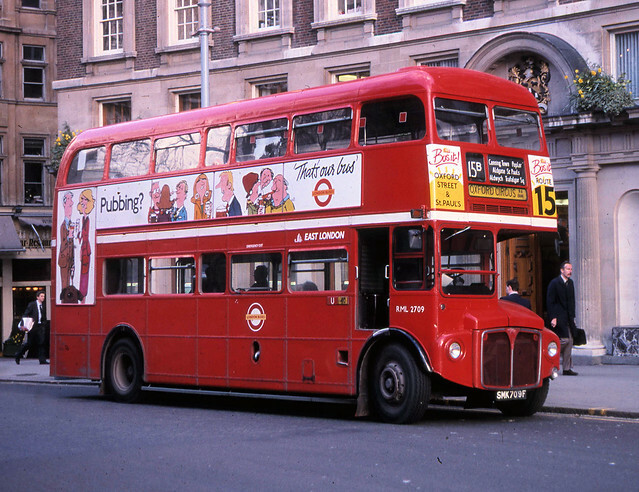 Withdrawn between Aldgate and Mansion House.